The gang’s all here! And yes, this was the best picture of the 20 or so that another vineyard goer kindly snapped for us. But my friend LeeAnne had promised that the food and wines were excellent, so I was confident it would be a good experience, as she is quite the expert on all things food and wine related. 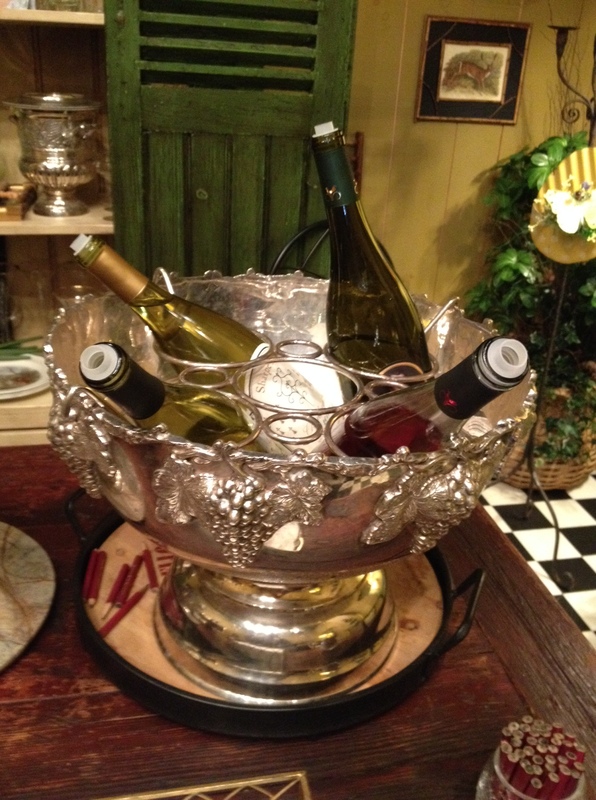 She had told me about the food and wine – I wasn’t prepared for the awesome decor! Sharpe Hill has a great Colonialist vibe going, with antique pictures on the wall as well as the labels of various bottles. Look at this pretty set up for keeping bottles chilled at the counter. Unfortunately, I just missed the Head Chef, Catherine, who was away on business when we arrived Sunday. 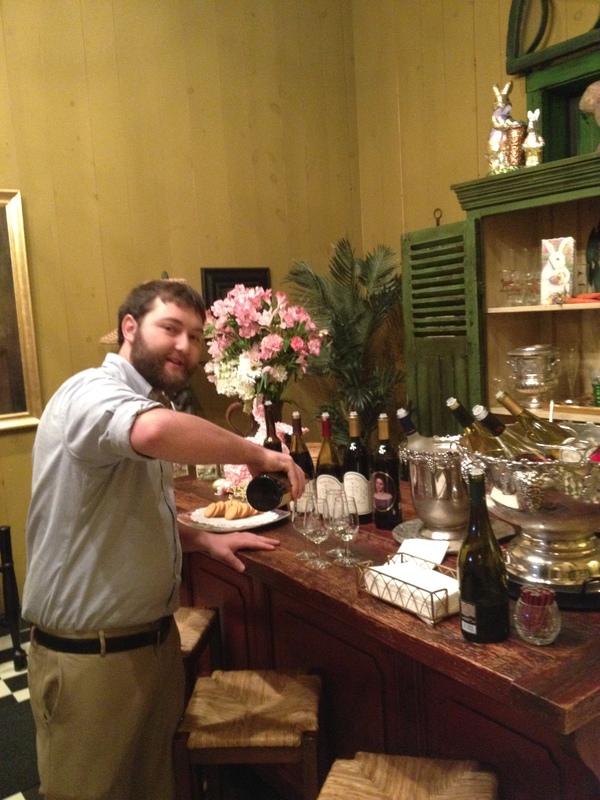 But Kevin (pictured below manning the tasting table!) was an excellent host, with a great knowledge of the wines and also an immense amount of patience with our large group which included, of course, various small folks. My group opted to sample just a couple wines to figure out what they liked and settled on the Ballet of Angels for a group table experience, so I did the tasting solo for the most part, although my brother-in-law, Sean, did sample a couple wines too! 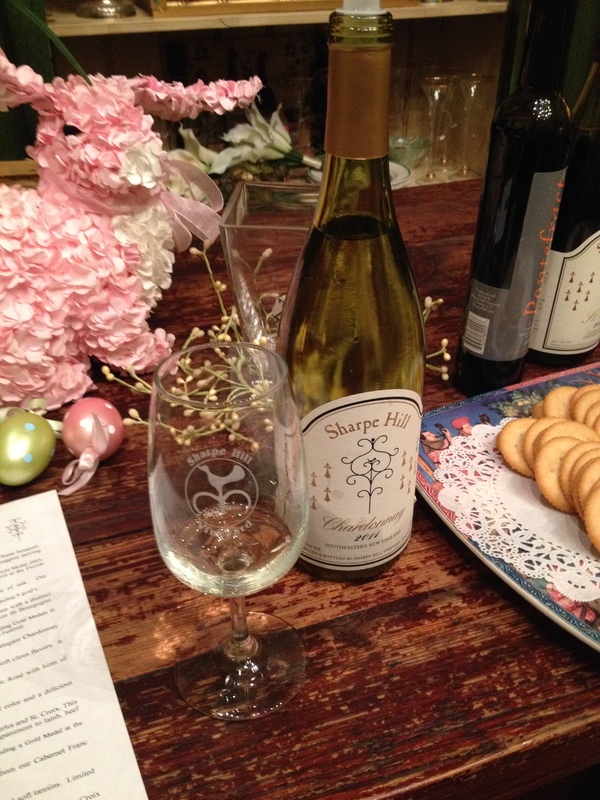 Sharpe Hill graciously comped my tasting as well as a bottle for the table, so I thank them for that, and we were very happy to purchase a couple of our favorite bottles on the way you (A Ballet of Angels and St Croix, respectively!) Below are my notes of a couple highlights from the tasting. Ballet of Angels: I’m happy that this wine is always at my local package store, as I’ll definitely pick it up again. Although a little on the sweet side for my palate, it had a nice dry balance and is an excellent trade off – in my opinion- for a Pinot Grigio, which is one of my husband’s favorite blends. 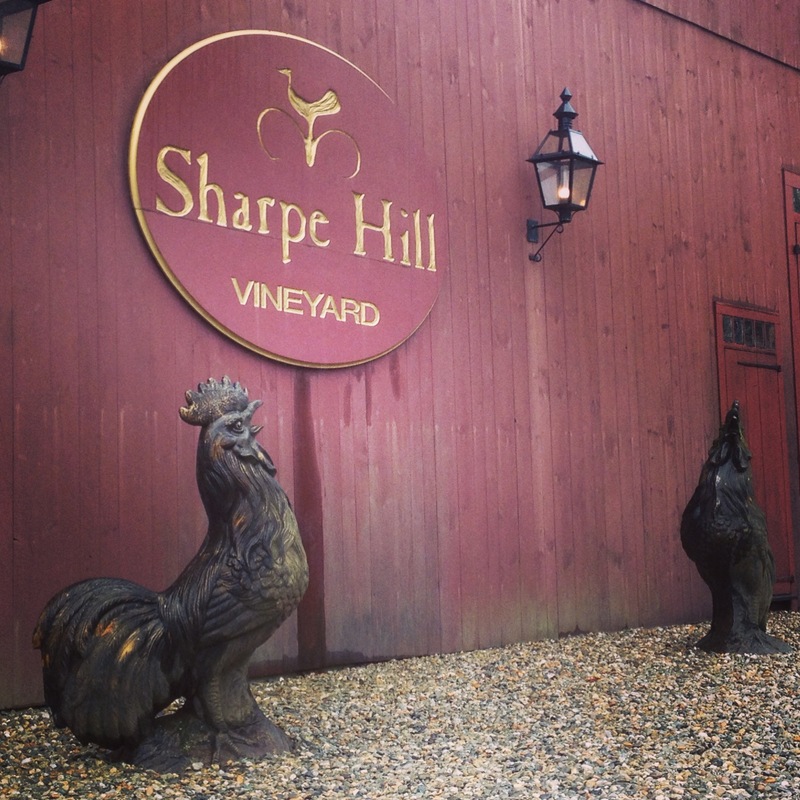 This is also Sharpe Hill’s signature wine, and it has received a whopping 96 medals in various wine competitions, at home and abroad. Vineyard Reserve Chardonnay: Now THIS is what I’m looking for in a white. It had some great American oak characteristics and the full body of a classic chardonnay. Not pictured, but equally delicious, was the Cuvee Ammi Philips 2012, which had more French character – ie – subtle palate – due to the French and American oak aging process. Kevin was very helpful in guiding my somewhat unsophisticated taste buds through the nuances between the two varieties! Dry Summer Rosé: I don’t understand why rosés get such a bad rap – I truly don’t. Maybe it’s because there are overly sweet ones out there, but a true, dry rosé is a delightful drinking experience – particularly going into the summer months. 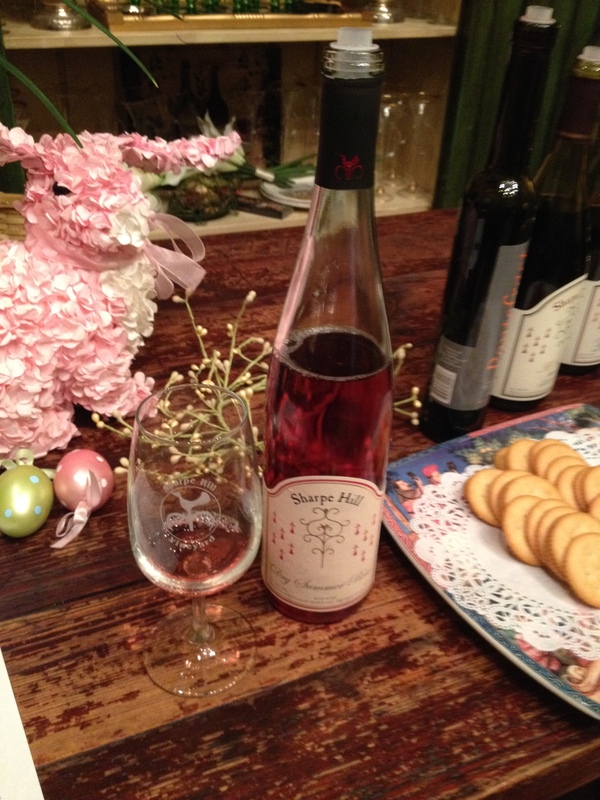 I liked the Summer Rosé immensely, as well as its slightly more sophisticated (not pictured) cousin – the Angelica Rosé 2012, which featured 100% St Croix grapes for a slightly smoother finish. Both wines have fruity aroma and a full body which would be great on a patio in the summer… ah yes… soon it will be that time of year! Hurrah. Cabernet Franc: I’m a red wine girl, I’ll admit it. And, as mentioned in a previous post, I’d already had the pleasure of trying this particular cab at Big Red. But it was very nice to try it again, in a bit more a ‘cerebral space’ of thinking about the flavor components of the wine vs. just how delicious it is to have a glass of red in hand. So my second tasting of this Cabernet Franc was enlightening in identifying a robust and not at all tannic local red. For a red, it was dry, and I definitely would follow the recommended pairing of a meat dish with this cabernet. Kevin was also kind enough to provide me with a piece of dark chocolate for another classic pairing – red wine and chocolate! Ah yes, by now, I was firmly in my happy place. St Croix 2010: This little beauty is currently sitting in my kitchen at home, and I’ll be enjoying another glass this evening. One of the nicest things that Kevin did during my visit was break down the various varieties of grapes used at the vineyard. 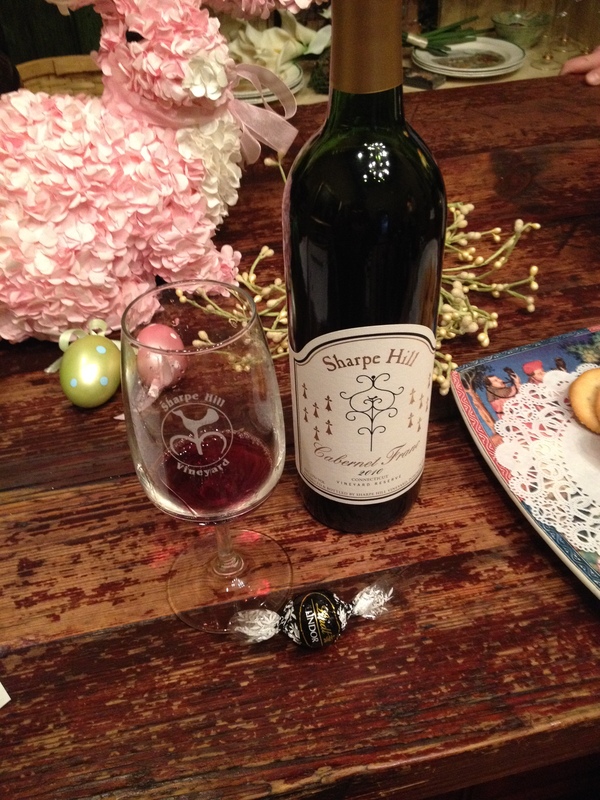 The Sharpe Hill St Croix is a truly outstanding grape, and the 27 medals it’s received are well deserved. An immensely smooth wine with a complex aroma and well finished palate – I’ll be asking for a special order of this at my package store at some point for sure. Delicious! 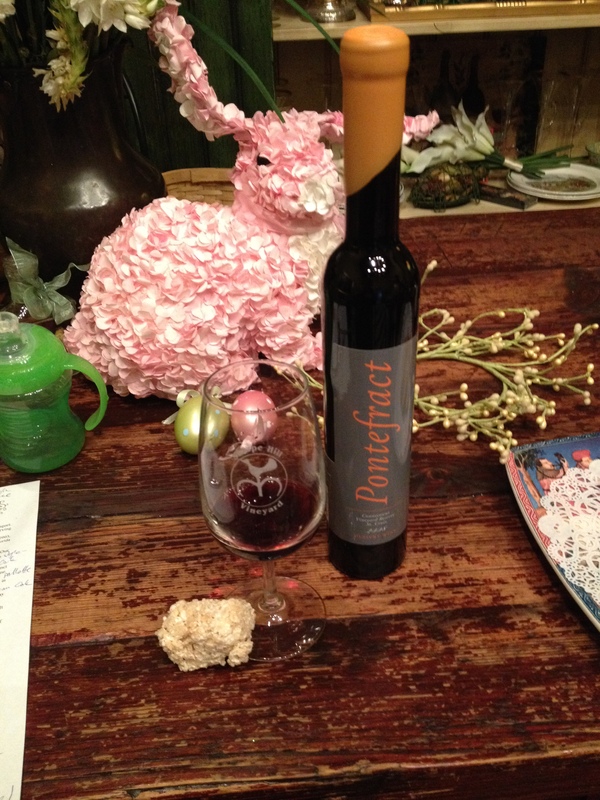 Pontefract 2008: Can there be anything better than a good port and dessert pairing? And how nice that I had brought an Easter favorite – rice krispie treats – considering all the pretty Easter décor on the table! It made for a lovely picture and an even lovelier bite. This port will also be on my special orders list at some point I’m sure (according to Kevin, they can ship by special request to almost any package store in the state with enough advance notice – good to know!). It was smooth, drinkable, and sophisticated. 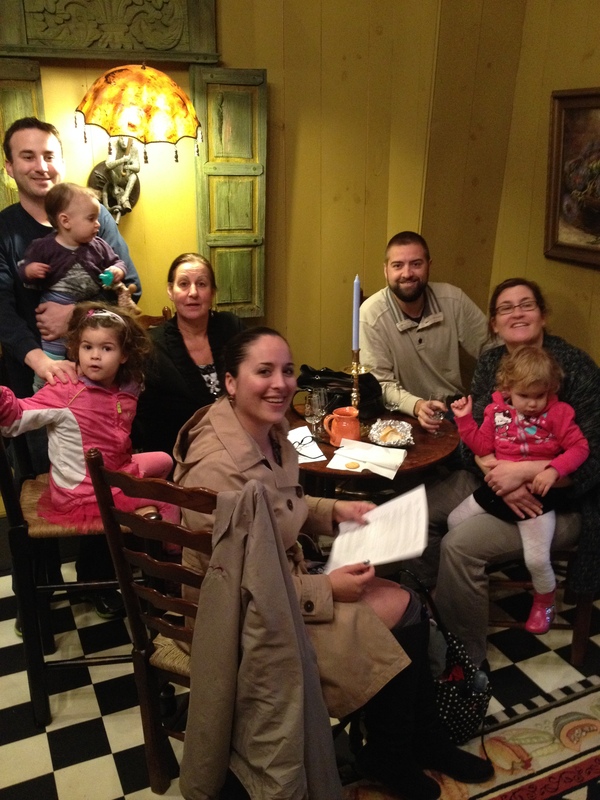 I talked my brother-in-law into tasting with me, and he said he liked it too – and it was his first port! Thanks again to Sharpe Hill for having us. I’m very much looking forward to going back this summer, when the gardens are in bloom, to enjoy more wine! Cheers! 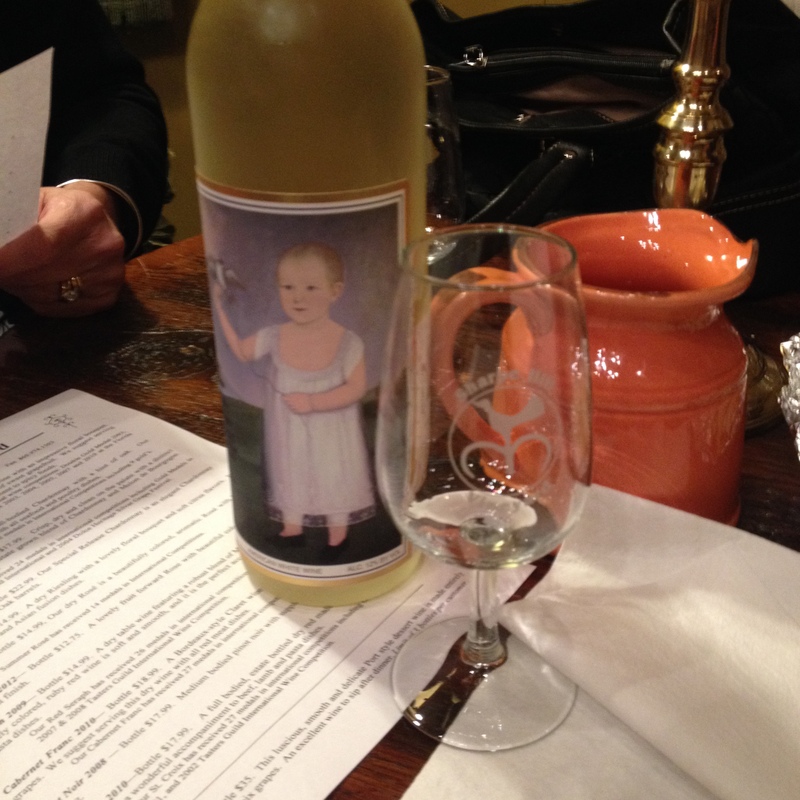 Posted on March 31, 2014 March 31, 2014 by twittikatPosted in CT Wine Trail, Local, Out and About, Penelope, WineTagged Family, Pomfret, Sharpe Hill, wine. Previous Previous post: TGIF! Celebrate with Jeffrey Lizotte’s @ontwenty post work cocktail and vote him Best New Chef! What a fun outing! I loved reading the post! Makes me want some wine. I look forward to the Penelope dedicated piece later in the week. Great job kat!!! Thanks Hannah! 🙂 Let’s make a vineyard date when you’re up in CT this summer for sure! P will wear a nice Lilly dress and have some apple juice in a sippy cup, because she is elegant like that.